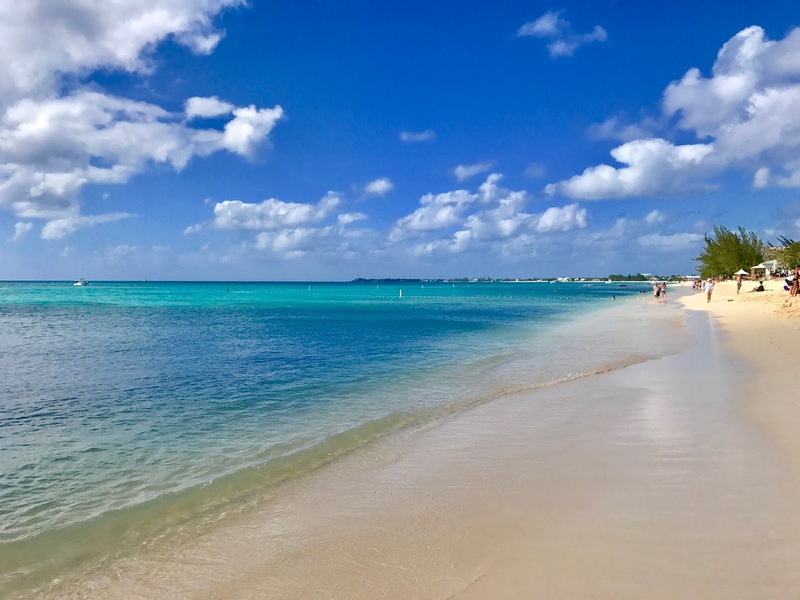 So I'll start this blog post off by saying I was not expecting to be visiting Grand Cayman again so quickly. The Cayman Islands are my absolute favorite place to visit by cruise ship. After Hurricane Irma and Hurricane Maria, our itinerary while on the Carnival Conquest changed. Instead of going to Dominican Republic, we ended up at Grand Cayman. I instantly booked an excursion to do Stingray City. While I typically would suggest others to book excursions through their cruise ship, we didn't have the option due to being in two new ports. We had to wait until we got on board - and the excursion desk was bananas. 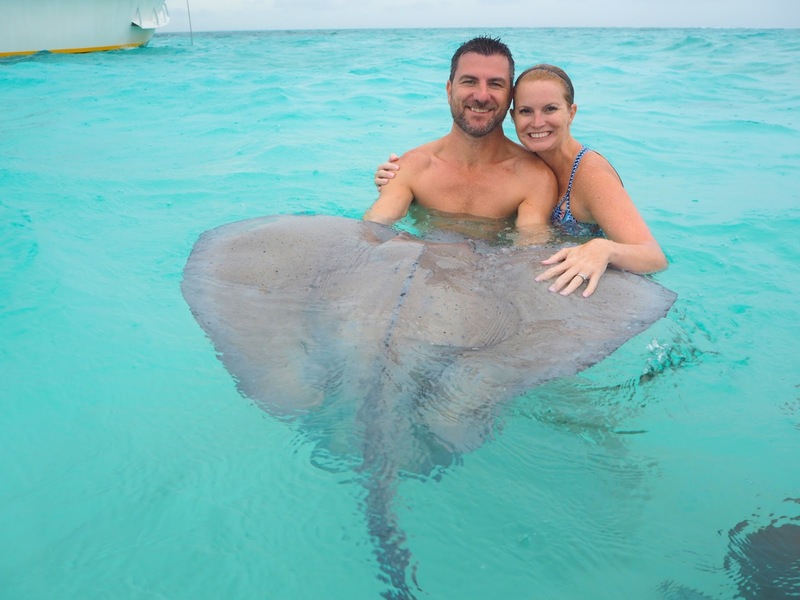 You can book a similar Stingray City excursion through Carnival. You guys!!!! I was freaking OUT. The waves were pushing these giant sting rays all over. They were very friendly but omg. We did our photo shoot, fed them then I quickly went back on the boat waiting for our next stop. We did purchase the photo packet for $50 which came on a USB card. When else will I be up close and personal with a sting ray of this size! I strongly suggest a visit to Stingray city while in the Caymans. We were unable to visit Barrier Reef due to the weather which bummed me out but I was happy to at least snorkel in the Caymans. The coral gardens were very pretty and it was nice and relaxing while in the water. There wasn't much time from the end of our excursion to getting back on the boat. Our visit to Stingray City was an experience we will always remember.